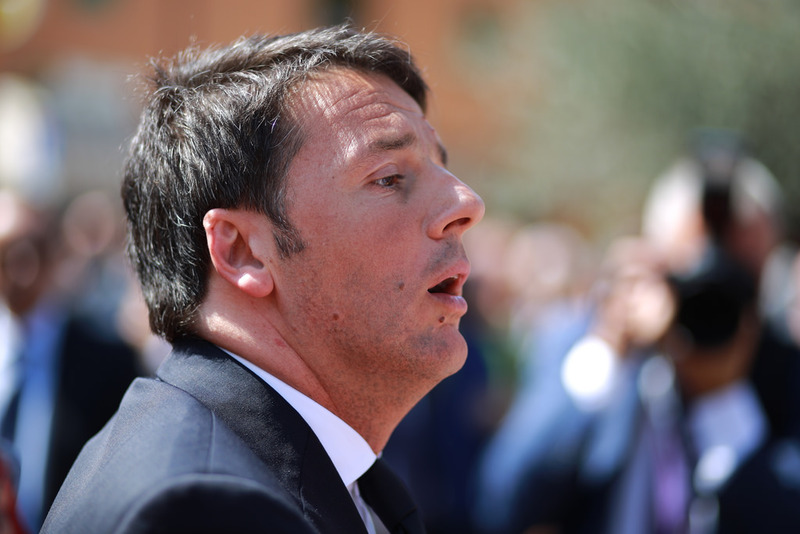 In January 2014, on the day that Matteo Renzi took office, we wrote that this was the beginning of the end for the leader of the Democratic Party (PD), who at that time seemed to be launched on an unstoppable path to glory. The result of the constitutional referendum, in which Renzi was defeated by almost 60% to just over 40%, shows not so much our foresight but the lack of foresight of the Italian ruling class. They relied on a leader who turned out to be a car without brakes, which was sooner or later destined to crash. In fact, on December 4, Italians sent a clear and strong message not only to the government and the prime minister but also to the entire political class, including those who were on the “No” side. As Sole 24 Ore (newspaper of the industrialists and financiers) wrote on the day after the vote, those who voted ‘Yes’ were mainly pensioners and from the upper and middle layers of society. While low-paid workers and youth, precisely those to whom the government had addressed its rhetoric for three years, dealt the government a solemn blow. Eighty one per cent of those aged 18 to 35 voted “No.” The idea that it would be possible to ride the wave of social anger by simply winning TV head-to-heads, promising a few euros to the poorer sections of society, predicting an apocalypse if the ‘No’ won and trying to chase after Beppe Grillo (leader of the Five Star Movement) and Matteo Salvini (leader of the Lega Nord) on their anti-‘political caste’ and anti-Europe terrain, proved to be a total illusion. The same is true for those who pose as defenders of the constitution, including Grillo. Workers, youth and impoverished middle-class people did not vote “No” to defend “the best Constitution in the world.” They did so to reject those who instead of ‘demolishing the old politics’ (as everyone says they want to do) continued to demolish working people and made fun of them by talking about a country that does not exist, where the economy is improving, companies are taking on hundreds of thousands of young people on permanent contracts and taxes are decreasing. This was the only real reason why it was worth losing a couple of hours off work to go and vote. Renzi’s massive defeat and his resignation, the deepening crisis of the PD – the real “armed wing” of big business over the last five years – represent a positive development and an opportunity for workers and youth who want to fight for a better future. But, for an opportunity to become a step forward it must be grasped with a realistic analysis of the political and social situation. There is not a single political force in the No camp which could be a reference point for those who really want to change Italian society. The enthusiasm for the No vote could be used to begin a serious discussion about a political alternative capable of filling the streets rather than the polling stations. Alternatively, it could be used to sow the illusion that now that Renzi has been kicked out, our problems are solved, that a new “center-left” can be reborn or that a victory for the Five Star Movement at the next general election could produce a real solution to working people’s problems – something that has not been so far produced in any of the local councils controlled by Grillo’s movement. Obviously we are for a clear fighting alternative. A more in-depth analysis of the No vote and its repercussions in Italy will soon be published on SocialistWorld.net.